Anarchy Diesel MM3 pre-order sale 2013-2016 cummins $1199!!! Thread: Anarchy Diesel MM3 pre-order sale 2013-2016 cummins $1199!!! Re: Anarchy Diesel MM3 pre-order sale 2013-2016 cummins $1199!!! Graph 1. Green is EFILive. 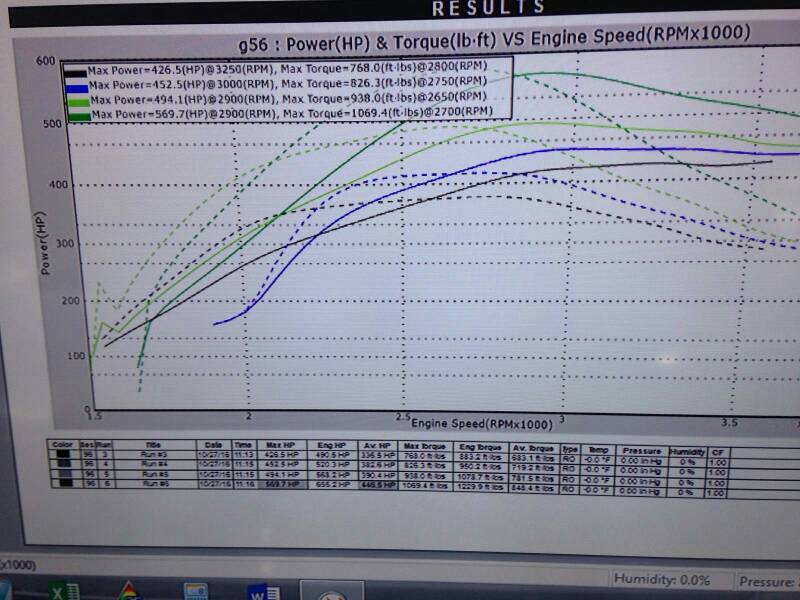 Orange is MM3 max effort tune on 2017 G56. Conditions were perfect. 50 degrees 0 humidity. Graph 2 is power levels. Is this with warp tuning? Yes, with warp. No head studs. What kind of boost did you get to? 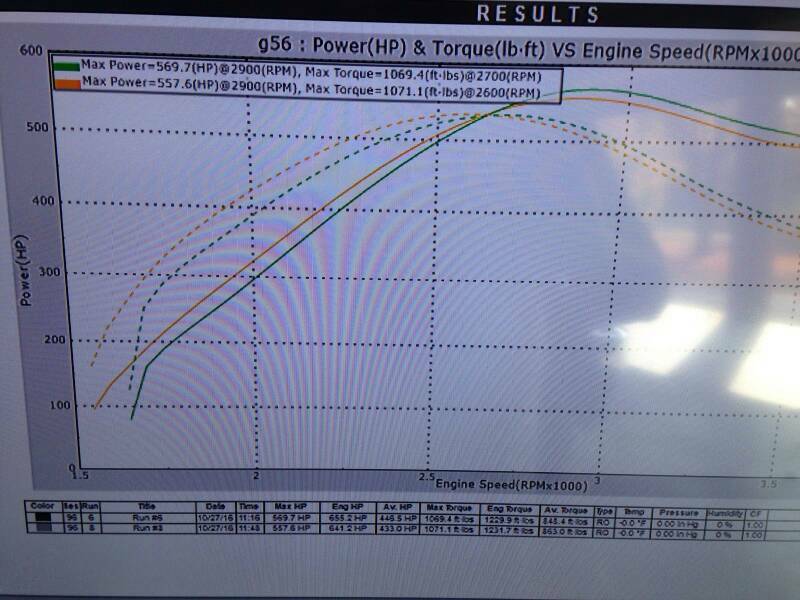 Got my mm3 with @anarchydiesel tuning installed today and I gotta say I'm thoroughly impressed. The guys at anarchy walked me through what issues I was having and we got er running. Just running a stock tune with the deletes has made a huge difference. Only barely walked into the tow tune and it's wild the power I can put down. For only having 5k miles I was a little concerned but I think it's well worth it with the anarchy tuning! Killer tuning and a killer deal with @Rollin Smoke Diesel. Can't thank you guys enough! Got my mm3 with amarchy tuning installed today and I gotta say I'm thoroughly impressed. The guys at anarchy walked me through what issues I was having and we got er running. Just running a stock tune with the deletes has made a huge difference. Only barely walked into the tow tune and it's wild the power I can put down. For only having 5k miles I was a little concerned but I think it's well worth it with the anarchy tuning! Killer tuning and a killer deal with Rollin Smoke Diesel. Can't thank you guys enough!